Xi Meijuan, Vice Chairman of China Federation of Literary and Art Circles and China Film Association. Graduated from Shanghai Theatre Academy, she is a State First-Class Actress, a Chinese film, television and stage performing artist. 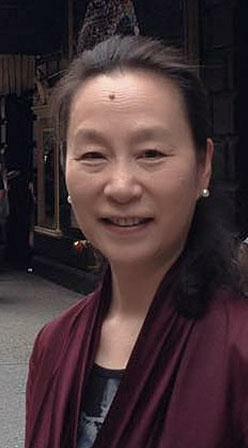 Her major works include the theatre productions China Dream, Horse, Romeo and Juliet, Those Left Behind, The Family, Beijing Fayuan Temple; feature films If I Were for Real, The Scientist Jiang Zhuying, A Tree, A Young Prisoner's Revenge, Under the Hawthorn Tree; and TV series Red Carnation, Love Between Generations, To Elderly with Love, HOT MOM!, Sister-in-Law. She has received numerous awards, including China Theatre Plum Blossom Performance Award, China Theatre Mandarin Award, Shanghai Magnolia Performance Award, China Film Golden Rooster Award, China Ornamental Column Award, China TV Flying Goddess Award, and China TV Golden Eagle Award.